We trekked to Di Bella Coffee Bowen Hills roasting house this week to get our hands on the newly launched 2016 Reserve Blend- Available Here. The new blend promises to offer our customers a flavour experience which is vibrant in an espresso and balanced in a milk based coffee. And boy did it deliver! The 2016 Reserve blend delivers a citrus profile with hints of chocolate and spice. The resulting blend’s aromatics are strong and fragrant, with a perfume like quality. In an espresso you can expect a juicy acidity, with your first sip being very vibrant and clean. With your second sip, the juicy acidity is balanced by a brown sugar sweetness and a refreshing aftertaste. The Di Bella Coffee 2016 Reserve Blend definitely added a nice kick to our customary skinny capp! 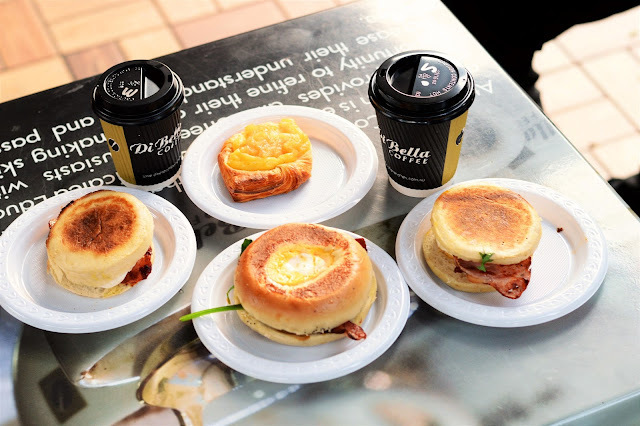 If you consider yourself an adventurous coffee drinker, head to Di Bella Coffee and try it for yourself.